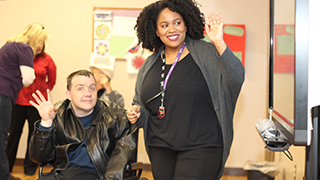 Every person needs the support of others, but we look for very special people to support brain and spinal cord - individuals with disabilities; children with emotional, behavioral or medical complexities; children and adults with brain injury). As a Licensed Practice Nurse (LPN) / Licensed Vocational Nurse (LVN) with Neurorestorative Louisiana you’ll be one of those special people. For Neurorestorative Louisiana and The MENTOR Network the LPN/LVN is critical to our success and exemplifies the wonderful mission driven work we do here every day. Neurorestorative Louisiana is seeking a LPN/LVN to provide prescribed medical treatment and personal services to brain and spinal cord individuals under the direction of a Registered Nurse (RN) or physician.